There is something different about our stay in Thailand this time, maybe it’s being here longer which has given us plenty of time to adjust to the chaotic pace of the big city, maybe it’s having an apartment to go back to everyday so that something feels constant or maybe it’s not being tourists/travellers all the time so we have a routine and a sense of normal everyday life. Most likely it’s all of these things and many more but the added bonus of all of this is that I get to try so much different food. This time in Thailand I don’t feel as hesitant as I might have in the past, not knowing what something is is now a reason to buy and try rather than walk away. 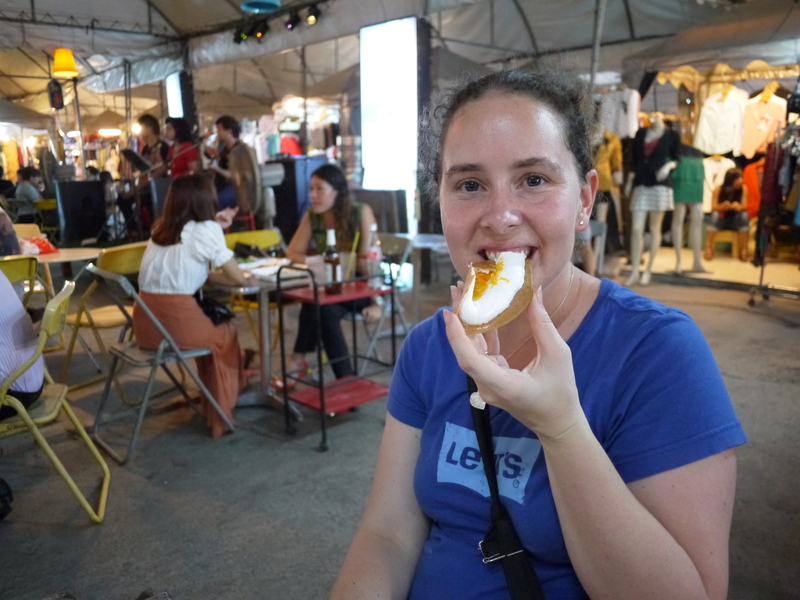 Having this attitude has meant that I’ve tried so many delicious things like this Thai sweet. This is known in Thai as Khanom Buang. It’s a wafer thin pancake piled with a soft, fluffy white meringue cream and topped off with sweeten coconut shreds. 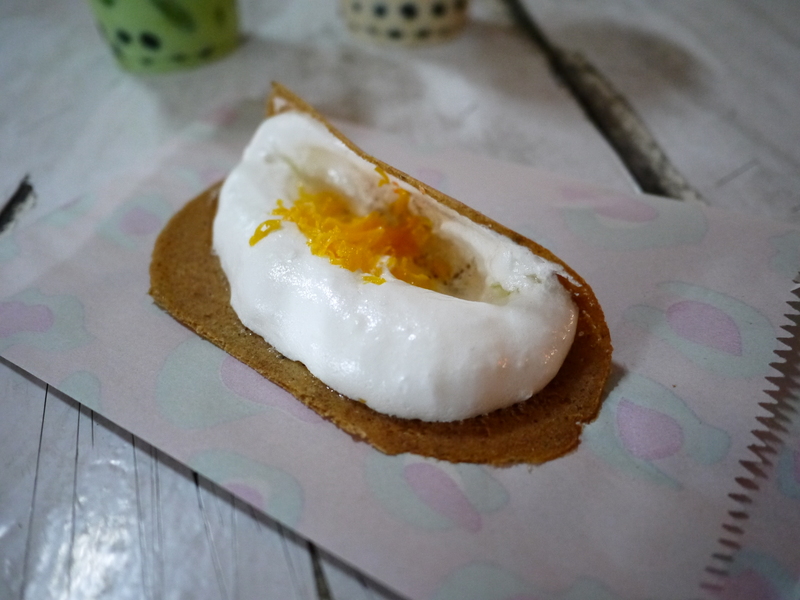 It is often served slightly warm, as it would have just come off the hot plate, so the pancake is really crispy. As the cream melts in your mouth, it reminds me of homemade marshmallow – gooey goodness. The one pictured is quite large (only 10 Baht from the On Nut night market) but often they are smaller, about 4-5 centimetres in diameter and with less cream, and for about 20 Baht you’d get quite a few. I hope you try something new today.